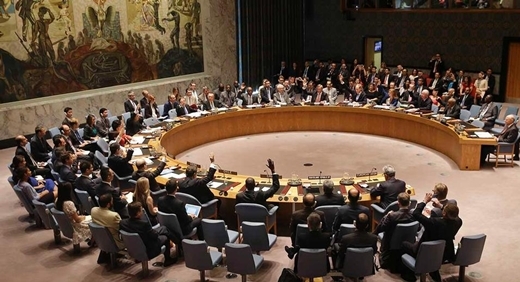 The United Nations Security Council has voted unanimously to impose new sanctions on North Korea, including strict new limits on exports of coal, in response to its latest nuclear test in September. According to a report covered by Ettela’at newspaper, the latest sanctions, triggered by a nuclear test conducted by Pyongyang on 9 September, which was the fifth and largest controlled detonation of a nuclear device ever undertaken by the pariah state, are unprecedented in scope. If properly enforced, they would reduce its overall export revenues by 25 per cent in a year. That is a potentially significant blow to the country’s already skeletal economy, which, the UN nations hope, will severely damage any flow of cash that could be used to fund its nuclear activities. Most significantly, the sanctions would slash exports of coal to China. Previous resolutions from the UN included a significant loophole that allowed China to import coal from North Korea if it could be shown it was necessary to assist in sustaining the most impoverished of the Chinese population, The Independent reported.